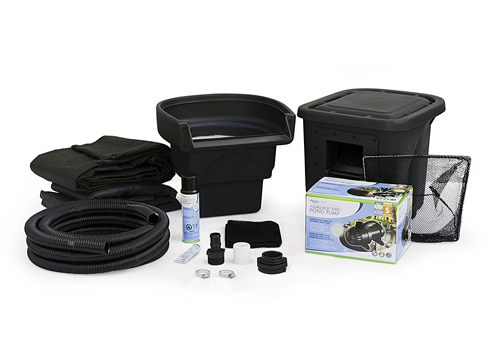 Our Most Popular DIY pond kit takes the guesswork out of trying to assemble the perfect combination of equipment. Signature Series 1000 BioFalls Filter and BioBalls biological filter media – Provides complete biological filtration. 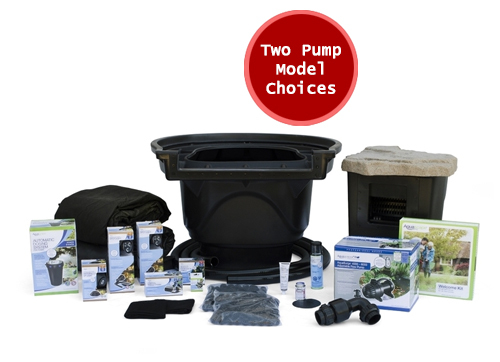 Pond Liner made from quality EPDM 45 mil fish safe rubber 20 year guarantee! 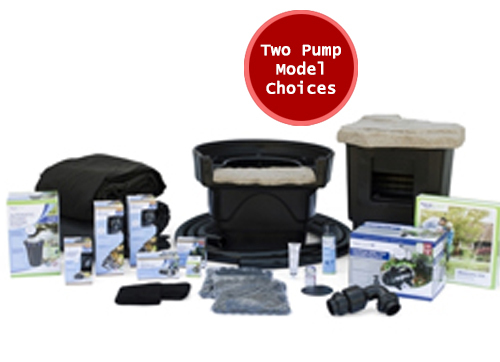 Our most popular professionally installed pond kit. The 11′ x 16′ pond is small enough to fit into tight spaces yet big enough to make a design impact in any landscape setting. EPDM Pond Liner 15′ x 20′ and Non-Woven Geotextile Underlayment 300 sq.ft. Don’t let larger ponds intimidate you. 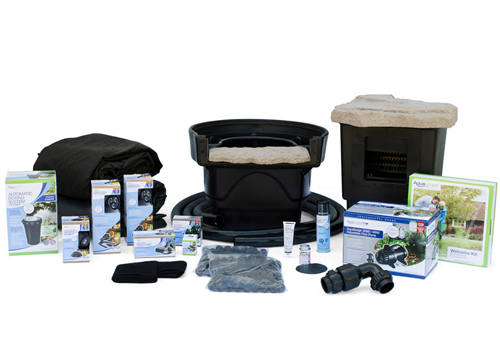 Our largest pre-packaged kit ensures you have all of the right products for the job. EPDM Pond Liner 25′ x 30′ and Non-Woven Geotextile Underlayment 750 sq.ft.